Workday: Thomas Point Lighthouse – August 12, 2016 – Chesapeake Chapter U.S.L.H.S. 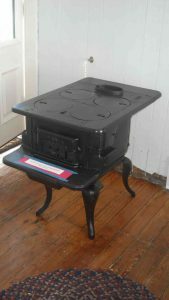 Stove donated by Hobie Statzer after restoration. Making something old look new again is sometimes an art. For preservationists, it is often just part of the job. 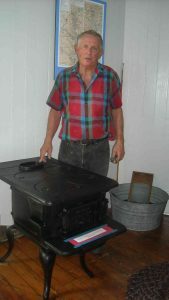 One of the goals of the preservation program for Thomas Point Lighthouse is to show visitors what it might have looked like during different years. This often means trying to make old artifacts look new again. This is a very unique historic structure, being an active screwpile lighthouse still on location and open to the public. This provides a rare opportunity to give visitors a glimpse of history. Each room should show a different aspect and/or era of the lighthouse. For the kitchen we wanted to show what it might have looked like during the early days of the lighthouse a mile off shore. So Hobie kept an eye out for things that would fill this need. When he and his wife Winnie checked out the antique stores they found a forlorn looking stove in a store in Warrenton Virginia earlier this year. Keep in mind that throughout the years of the Lighthouse Service and Coast Guard, the lighthouses were subjected to periodic inspections. 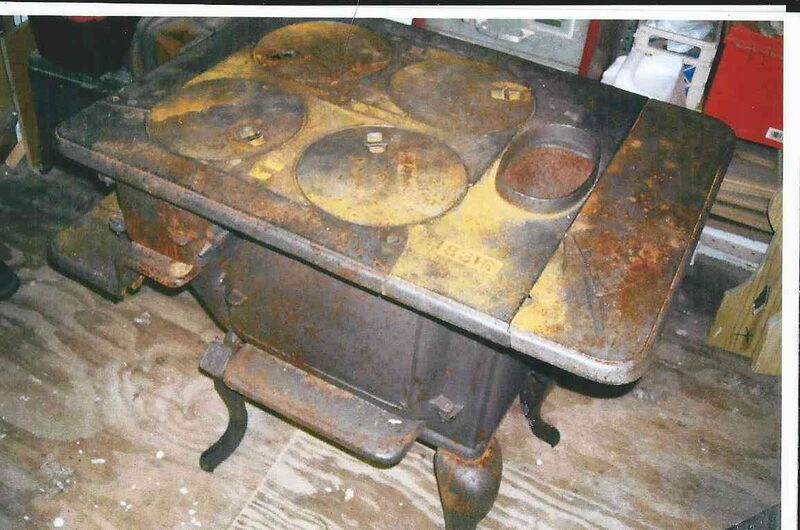 The stove as it was, would never have passed any lighthouse inspection, so he put on his restoration hat and spent many hours to remove the rust that had accumulated over the years. Then he gave it a coat of paint (not his favorite job!). He then had to break it down, and with the help of Bob Stevenson reassembled it out at the light. It now sits proudly in the kitchen giving visitors a glimpse of what life might have been like in the earlier days on one of our favorite Chesapeake lights.